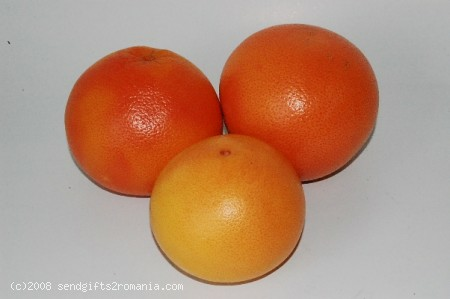 We invite you to send a fruit basket to Romania now! Did you know that grapefruit was first grown in the Barbados and it was first named "the forbidden fruit". The most popular varieties cultivated today are red, white and pink hues. Grapefruit is an excellent sourse of nutrients and phytochemicals that contribute to a healthy diet. Compose a "healthy basket" and send these delicious gifts to Romania to that special fruit lover!